If you intend to buy new furniture, make sure that it arrives 'in pieces'. 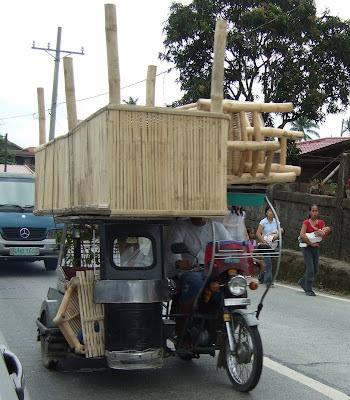 Photo from Santa Rosa (south of Manila) in March 2007. Pussycat and benchbody for what against whom? Don't get it. Photo from December 2006 along EDSA, Makati, Metro Manila. How to lose a spare tire? 'Lose your spare tire'. What a stupid ad. Get a car, man, and take your spare tire (actually an inner tube) off. Life can be so easy and ads so misleading. Further, the target group is not the skinny part of the society but the real fat ones. They should have used an inner tube of a monster truck with a real fatty. 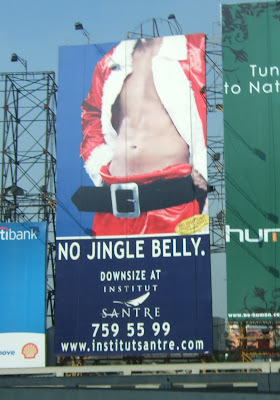 I prefer the older 'jingle belly' ad. Photo from Magallanes, Manila in March 2007. 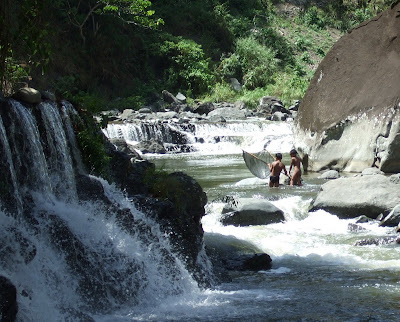 Kids fishing in a river close to Mayoyao, Ifugao, Philippines in March 2007. These Ifugao rice gods are telling us that a large crop can be expected. 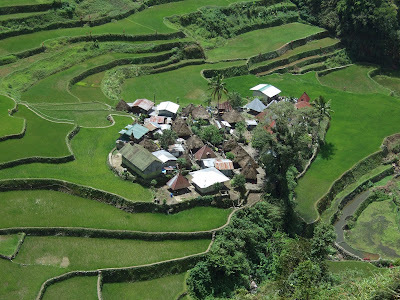 Photo from Banaue, Ifugao, Philippines in March 2007. 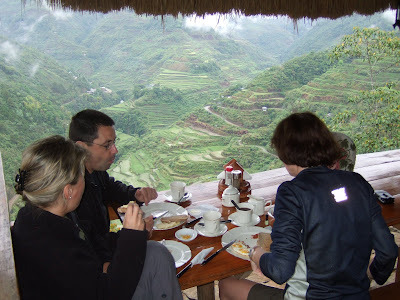 Fine bone china, great breakfast and a stunning view onto the Ifugao rice terraces. Photo from Uhaj, Ifugao, Philippines in March 2007. The rice terraces in the Central Cordillera of Northern Luzon, Philippines are always worth a visit. The photo from yesterday is showing the village of Bangaan, one of my favorite villages within the more than 2000 years old rice terraces of the Ifugao tribe. 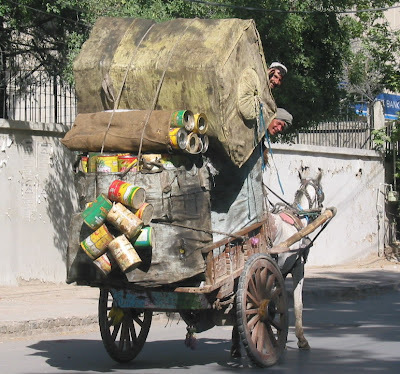 The picture was taken a few days ago on the road from Quetta, Balochistan (Pakistan) to Kandahar, Afghanistan. I am not going into the smuggling topic which is quite common there, but I am pointing out the fact that it was raining which is rather uncommon. The view is stunning, the food is good (not great, for that you better go to Gulberg or other parts in town) but neither beer nor wine are served 'in the open' in this Islamic Republic of Pakistan. 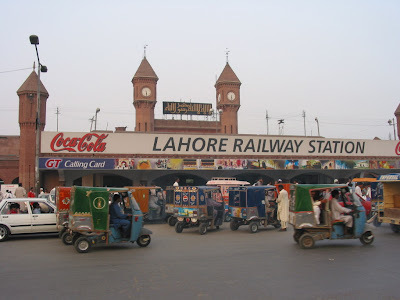 Picture from March 2007, Lahore, Pakistan. No, you are not getting more! 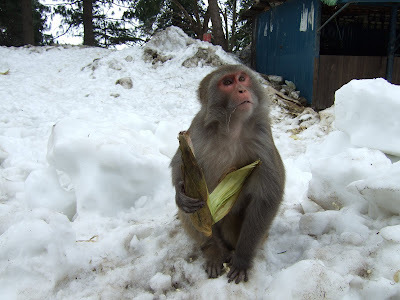 Photo somewhere close to Nathiagali (northern Pakistan) in March 2007. What else do you need? You pay between $200 or even $300 (actually for the same room depending on the rate you get) and you really get THE view. BTW, the water is not free either. 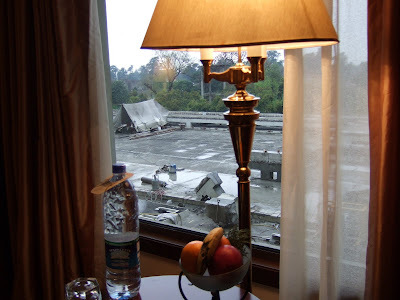 Photo from Pearl Continental Hotel a few days ago, Lahore, Pakistan. This is another anniversary post. Time passes by so quickly as most of us know and some even realize. 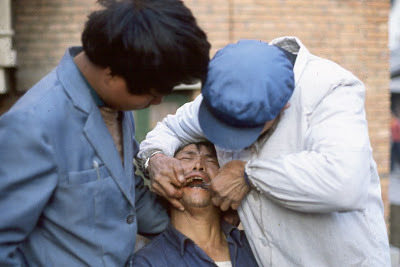 Let's celebrate post #200 together with the poor fellow pictured above who is going to get one of his tooth being pulled out. 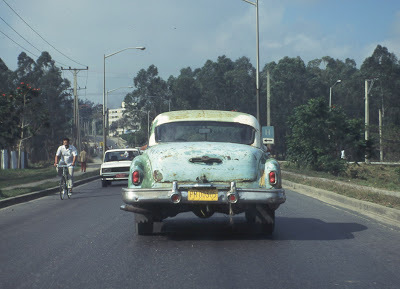 Picture taken somewhere along the Burma highway in January 1986, Yunnan, China. 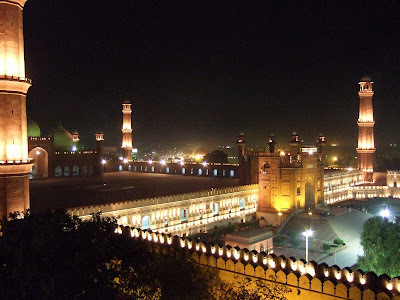 Photo from June 2003, Lahore, Pakistan. 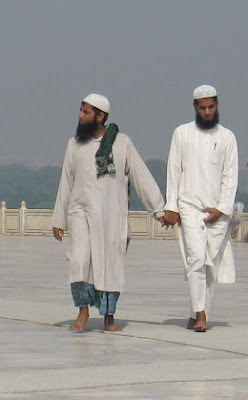 Photo from Agra, India in October 2006. Very recent picture from Quetta, Pakistan. Will be gone for some time and don’t know if I am getting internet access. For the meantime, enjoy the video further below. You might want to eat mentos and to drink diet coke now every day. Photo from somewhere in Cuba in February 1996. Are Chinese soldiers still dancing? Do Chinese soldiers still dance? 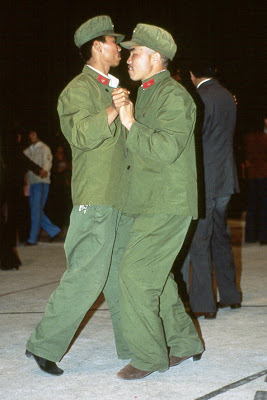 Photo from two People's Liberation Army soldiers dancing in Dali, Yunnan (China) in March 1986. 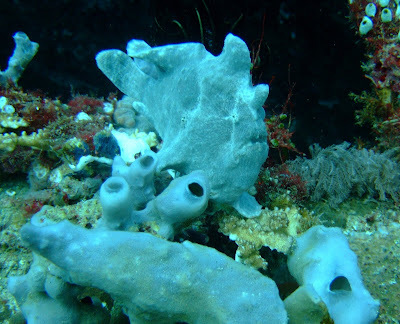 Finding species under water which are well camouflaged is difficult enough when watching out for stone fishes, frog fishes and scorpion fishes. 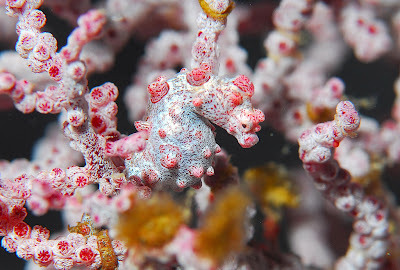 It is getting really difficult when the photo hunt is going for pygmy seahorses. 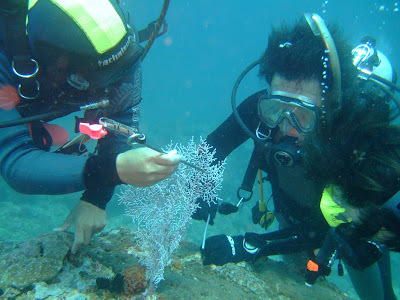 The first picture above from Puerto Galera (Mindoro, Philippines) in March 2007 is showing the gorgonian the pygmy seahorse inhabits; the second 'borrowed' photo is showing how well its color matches the gorgonian and how similar the body tubercles are to the polyps of the gorgonian. If you find pygmy seahorses in the size of 1cm you can consider yourself lucky. Frog fish from today at Puerto Galera, Mindoro, Philippines. 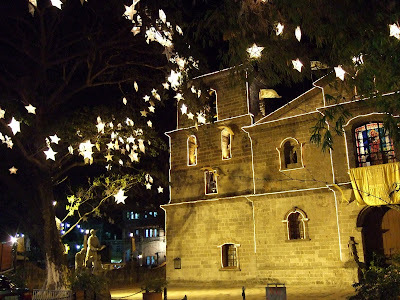 Photo from the Parish Church of St Joseph in Las Piñas City in February 2007 (i.e. never ending Christmas). 'No jingle belly' monster ads are still around reminding Manilenos that some have more to lose than others.